A five-wicket haul from Collendina A1 captain Nathan Walter has given the Cobras a shot at victory against Anglesea in their two-day clash at Ellimatta Reserve. Walter finished with the figures of 5/91 from 20 overs and removed dangerous Kangaroo openers Ned Cooper (54) and Stephen Jacimovic (1) and gun middle order batsman Tyron Norman (35). Anglesea was all out for 220 from 74.2 overs after winning the toss and electing to bat first. 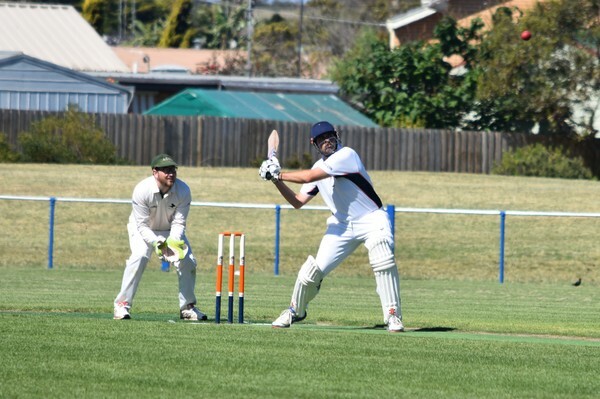 Cooper has scored three half centuries for Anglesea this season with scores of 62, 58 and 54. Walter was forced to shoulder more bowling in the absence of Charlie Lamb (unavailable) after Lamb bowled a marathon stint of 33 overs a week earlier in the club’s A1 two-day match against Drysdale on 11 November. Walter said it was a positive to bowl out last season’s reigning A Grade premiers inside 75 overs without Lamb. The Cobras went into the match opting to play an extra batsman with Matt Davies coming into the side. “We knew at the start of the day we were short of a bowler and we knew we going to be up against it,” Walter told the Voice. Walter was well supported by experienced bowler Jye Hearps (2/48) who bowled 17 overs. Cobra youngster Craig Goodger finished with the economical figures of 2/34 from 17.2 overs and six maidens. It was the first time Goodger had bowled more than 10 overs in an A1 match. “Craig Goodger bowled from the tea break on and he bowled unbelievable,” Walter said. Dwaine Lancaster opened the bowling and finished with 1/18 from 11 overs. Cobra vice-captain Ben Ricardo took three catches, while Max Sutton claimed two catches after returning to A1 wicket-keeping duties. 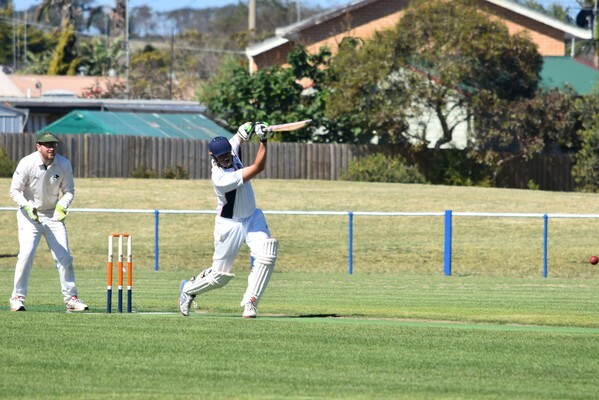 Walter is confident of a strong performance with the bat this Saturday with a batting line up which boasts Ricardo, Sutton and Lancaster as a lower order batsman after scores of 45 not out in A1 against Drysdale and 41 not out in their side’s T20 clash against Queenscliff last week. “I have got faith in our team and I will back us in for sure,” Walter said. The Cobras (15 points) sit in fourth position with Anglesea (15 points) in fifth spot on percentage. 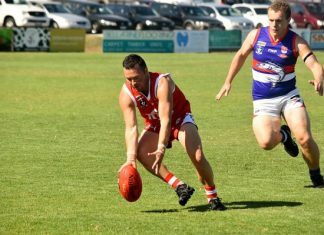 Collendina lost to Anglesea in their Round 1 one-day clash at the Snake Pit on 6 October. COLLEDNINA B1 recovered from a middle order collapse to post a competitive total of 9/179 from 75 overs against Anglesea. At one stage the Cobras appeared destined for a team score of around 100 after Anglesea had the home side 8/97. Batting at number 10, Julian Wilson played a sensible late order innings to finish on 43 not out. Wilson combined in a 32-run ninth wicket stand with Cobra bowler Sam Tucker (16), while Daniel Worn (17 not out) put on an unbroken 50-run partnership with Wilson. Earlier in the innings B1 captain Des Every (22) and Steve Blackman (27) made handy contributions. 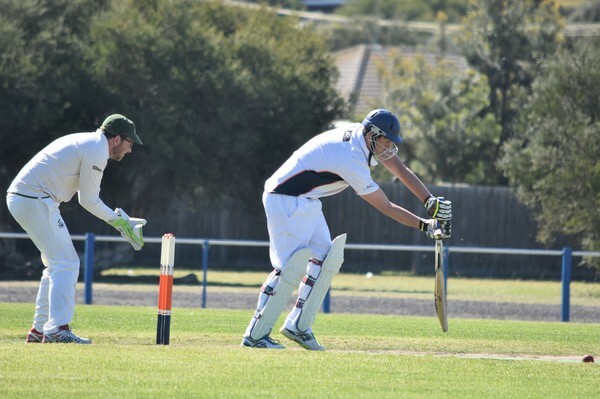 Anglesea requires 180 runs for victory. IN C1, Collendina resumes at 1/15 this Saturday in their two-day clash against Barrabool at Belmont Common. The Cobras bowled out the Bulls for 107 from 52 overs after the home side won the toss and batted first. Collendina opening bowler Liam Tipping (4/23) claimed a four-wicket haul from his 16 overs. Liam McManus and Ryan Jones each took two wickets apiece. The Cobras are in fifth spot on the BPCA C1 ladder with a 2-3 record after five rounds. 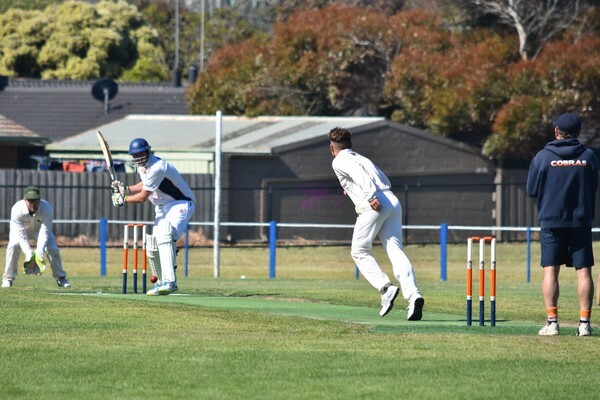 ARMSTRONG Creek defeated Collendina D Grade by eight wickets in their one-day clash at Bellarine Secondary College’s Ocean Grove campus on Saturday. In a high scoring game, the Cobras compiled 5/197 from its 40 overs. Craig Jeffrey top scored with 78. In reply Amrstrong Creek won with six overs to spare to finish at 2/202 from 34 overs.